In honor of Moms and Mother Earth, it’s time to rethink what you plan to toss in the landfill or donate to a favorite charity. 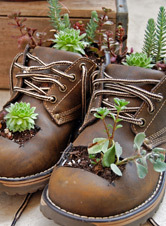 If the worn-out item can still hold water and a bit of soil, chances are it can take on a new life in the garden, with a bit of imagination, your repurposed junk just might prompt a smile. Here in California’s Sacramento Valley spring is well on its way with summer peeking around the corner — yesterday temps were into the mid-70s with the mid-80s promised next week. I’m wandering around the garden in shorts and flip-flops, getting the veggie starters in and dreaming about the family gatherings and parties we’ll enjoy as the season heats up. Note to self: Check the twinkle lights, hang the wind chimes. 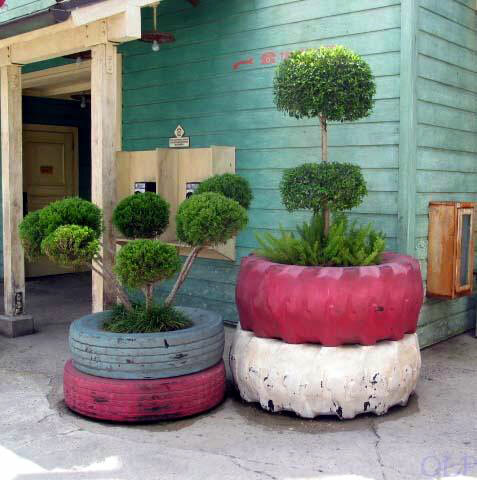 Here are some fun planter ideas from stuff found in the back of closets or the back of the garage. These boots look too new. 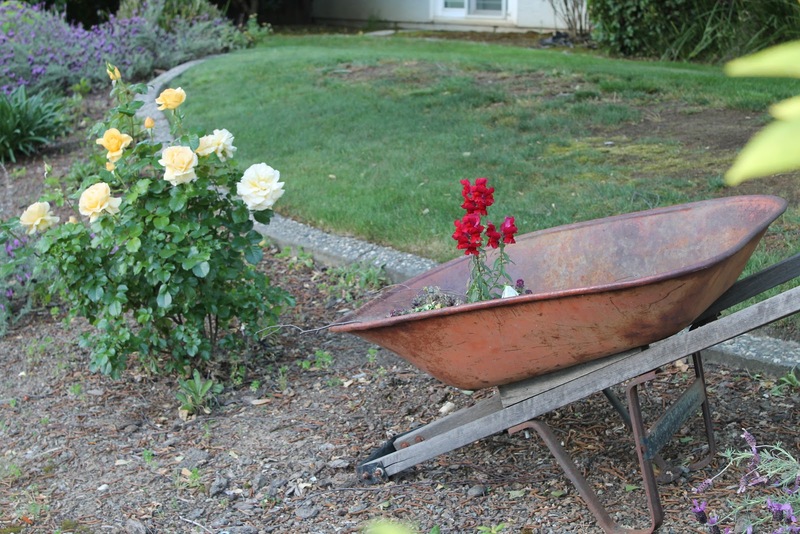 My friends at Monrovia Nursery suggest that instead of sending your old wheelbarrow or watering can to the landfill … try planting in it. 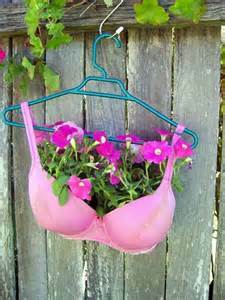 Here’s a chance to be creative about what you can beautify with plants. A chest with drawers pulled out at varying lengths and planted with colorful trailing plants. Old file cabinets, with drawers out, modern containers that can be painted bright colors. 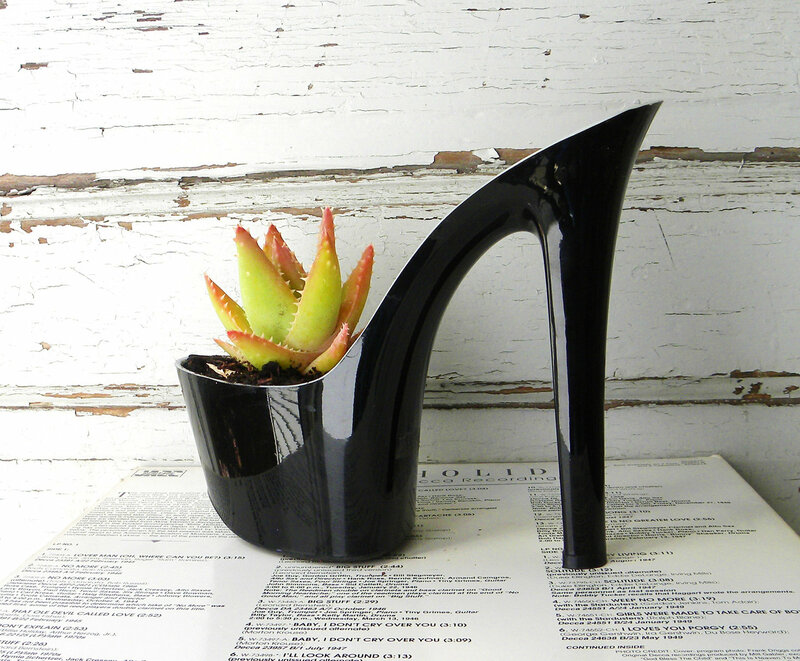 Old shoes, broken dishes, underwear. The fun of a summer garden is only limited by imagination. Here’s a clever idea for turning extra concrete pavers into contemporary (and sturdy) containers. Check out Monrovia’s PinBoard for more creative ideas. P.S. 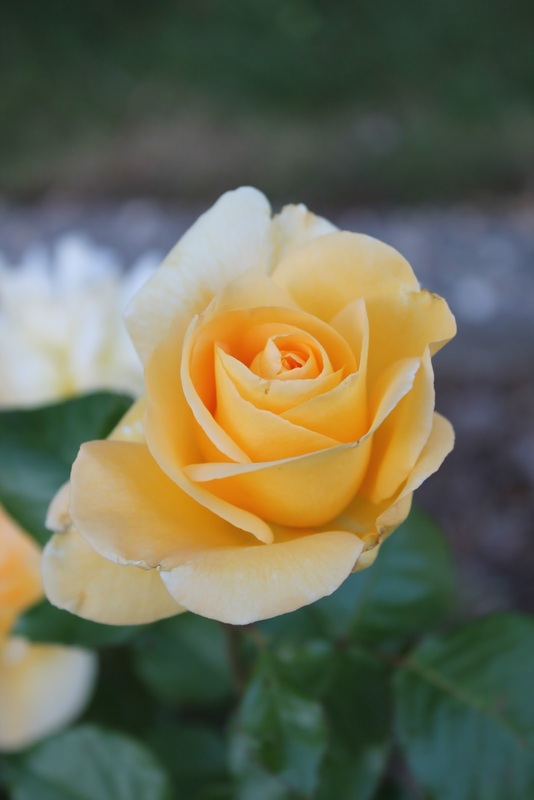 Just want to show off my new “California Dreamin” rose. Spectacular in full sun.